Five-term incumbent and Senate Minority Leader Republican Mitch McConnell was re-elected with 53% of the vote in 2008. He will be 72 years old in 2014. McConnell will seek re-election to a sixth term and is already beginning to prepare for his campaign by hiring key staffers and building a fundraising operation. "Mitch McConnell is now the least electable Republican senator running for reelection in 2014," said Matt Hoskins, the executive director of the Senate Conservatives Fund, a super PAC once associated with former South Carolina senator Jim DeMint. "He could lose this race and cost Republicans the majority. He needs to consider whether it might be time to hang it up." 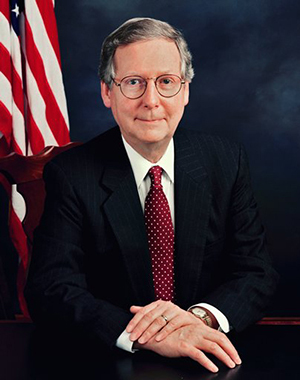 Senate Minority Leader Mitch McConnell. Them’s fighting words. And, the McConnell team was ready with a response. "Any Republican who thinks Senator McConnell is vulnerable is living in an alternate universe, probably of their own creation," said Jesse Benton, the aforementioned campaign manager for McConnell’s 2014 race. And so, we are at a standoff. The Senate Conservatives Fund thinks "that [McConnell's] had a long, successful political career but this could be the time to pass the torch," according to Hoskins. McConnell thinks the SCF is living on another political planet. So, who’s right? McConnell has never won his races by huge margins. McConnell has never won reelection with more than 55 percent of the vote; in 2008, he won a fifth term with 53 percent. And, polling done on McConnell this year - none of which is top-of-the-market stuff - suggests that more people view him unfavorably than favorably. Could, to Hoskins’ point, another Republican without the long political history of McConnell be a better (or easier) bet to win in Kentucky? Sure. But, consider this counter-argument: McConnell’s leadership position in the Senate is worth the fight, given that replacing him with a freshman Republican would mean a massive diminution in the Bluegrass State’s power in the Senate. To that, Hoskins responded: "Senator McConnell certainly has a lot of power, but the sad truth is he rarely uses that power to fight for conservative principles. He tells everyone in Kentucky he is powerful, but then pretends to be powerless against Obama’s agenda in Washington." Senate Minority Leader Mitch McConnell has done everything he can to court the tea party in the runup to his 2014 reelection campaign - up to and including hiring a high-ranking lieutenant in the Ron/Rand Paul universe to run that race. But, for one leading tea party-aligned group, it’s still not enough. Here’s the reality: McConnell ain’t retiring. And that puts the ball in the Senate Conservatives Fund’s court. If the SCF doesn’t think McConnell is the best choice to be the Republican nominee, the group needs to find someone who would be better and then help fund that person to battle the very well-financed McConnell. And, with nearly $1.3 million in the bank as of March 31, the SCF could do just that if it made the Kentucky race a priority. History of Kentucky. 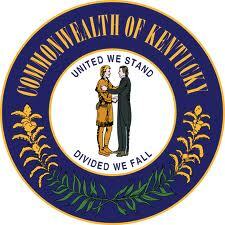 Information that every Kentucky Senator Candidate Should Know. Like the rest of the country and much of the world, Kentucky faced great difficulty with the arrival of the Great Depression in the late 1920s. There was widespread unemployment and little economic growth. On the other hand, New Deal programs greatly improved the educational system in the state and led to the construction and improvement of a great deal of infrastructure. The creation of roads, construction of telephone lines, and rural electrification were significant developments for the state. 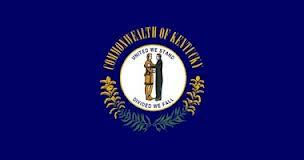 The creation of the Kentucky Dam and its hydroelectric power plant greatly improved the lives of Western Kentuckians. Both the Cumberland River and the Mississippi River saw extensive improvements in navigability and flood control. The 1938 Democratic Senate primary featured an intense showdown between Barkley, liberal spokesman for the New Deal, and conservative governor Happy Chandler. The governor was a gifted public speaker, combining voice control, emotionalism, and singing with an unusual ability to personalize his speeches. He could remember everyone's name, and in turn they became emotionally involved in his campaign speeches. Barkley's methodical campaigning was bolstered by President Franklin D. Roosevelt's strong endorsement. Barkley handily defeated the Chandler, with 56% of the vote. Farmers, labor unions, and city machines gave Barkley his margin, a vote which reaffirmed the popularity of the New Deal in Kentucky. Only a few months later, Chandler was appointed to the state's other Senate seat upon the death of Senator Mills Logan.